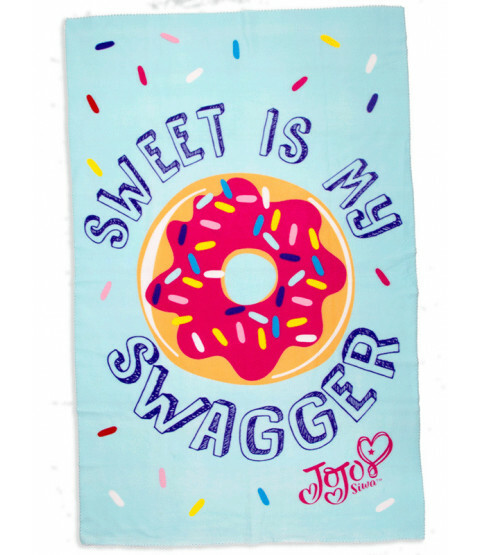 This wonderfully soft JoJo Siwa Sweet fleece blanket makes a great addition to a JoJo themed bedroom. 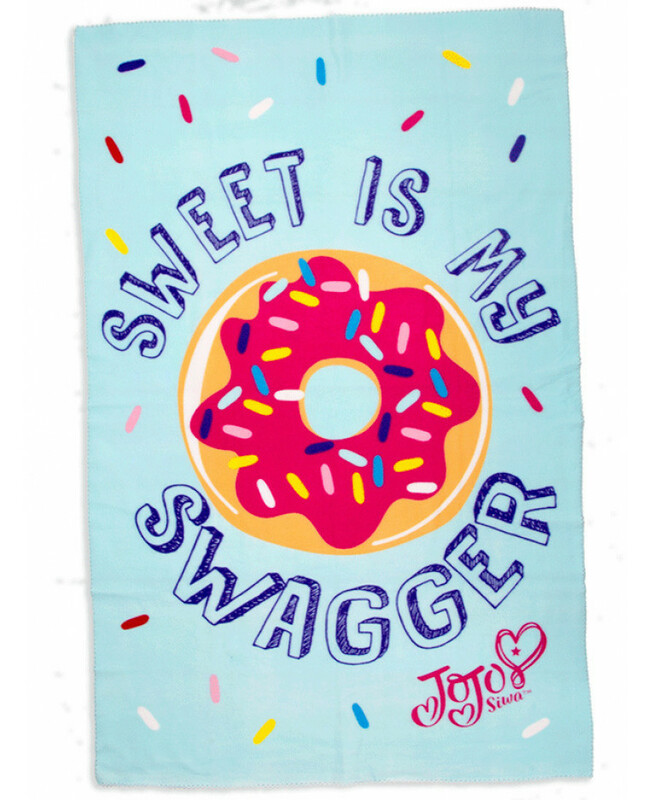 The blanket has a pretty scalloped edge and features a tasty ring doughnut with pink icing and sprinkles on a pale turquoise background with the words Sweet is my Swagger. 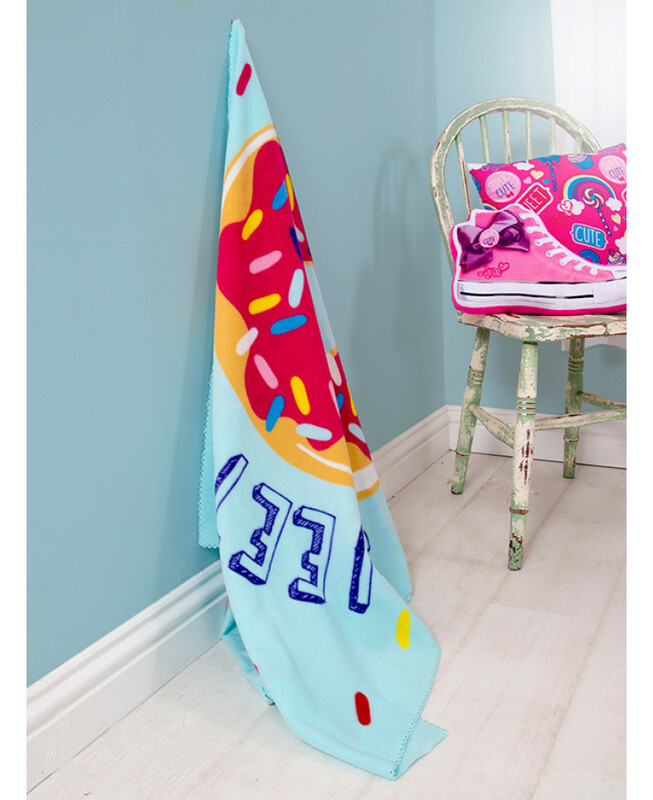 Perfect for snuggling up on the sofa with whilst watching your favourite movies, this fleece is machine washable and tumble dryer safe on a low setting.